Hello, I just replaced a couple broken pieces to Rudy’s head. New eyelids and a new vertical plastic piece. I reassembled everything and Rudy’s eyes won’t shut when he falls asleep. Both the horizontal and vertical coils/plungers Fire, but when it’s time for him to fall asleep and his eye lids need to shut, it’s like they try to close, but they are stuck? I’ve attached a picture of the “eyes open” position, “eyes closed” position, and the top view. I can’t figure out why it’s not working. It looks like a reassembled correctly. 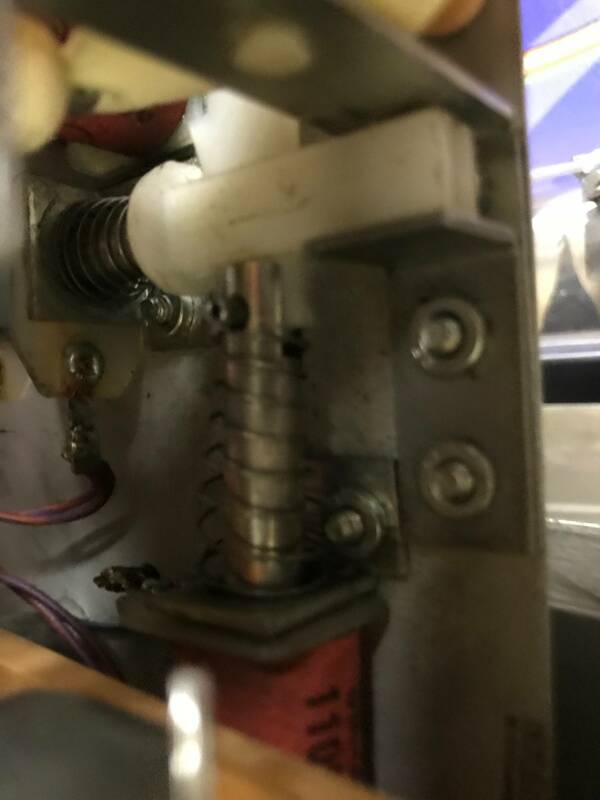 Do you think the vertical spring needs to be replaced? That vertical plunger needs to go up and close the eyes, but it doesn’t want to. It opens the eye lids fine and flutters them. Please help. Thank you!! that's all i got! but here's a bump you. 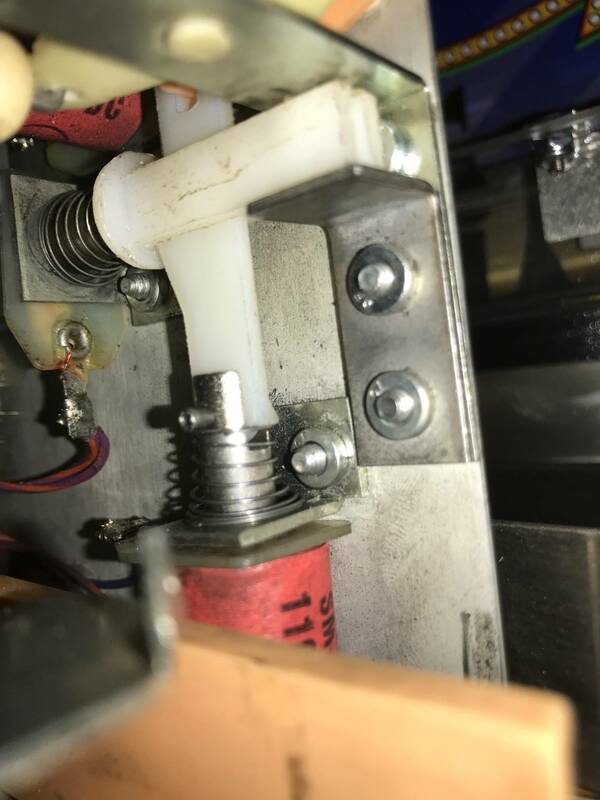 My guess is something binding on the horizontal plunger which prevents it from retracting all the way past the catch that holds the eyes open or binding in the vertical plunger to prevent it from returning to closed position after the horizontal fires to release. I just recently completely rebuilt Red in my Roadshow (same mechs) with new coils, new plungers, new nylon eyelets and springs. I kept messing around with it but it was working inconsistently. 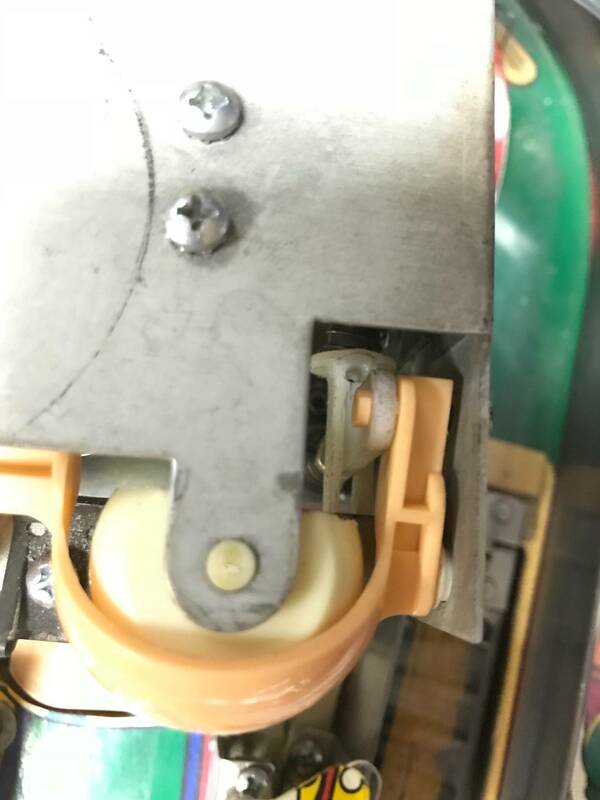 Between a stronger spring, smoother plungers, smoother coil sleeves, smoother eye action due to new nylons and less slop from wear in the whole operation it now works every time rather than inconsistently. May have been overkill, but I was tired of messing with it and it didn't appear to have been rebuilt ever (or at least in quite some time). Is the vertical piece you replaced around the right way? I installed mine backwards once and had issues... sorry can’t be specific as I’m not looking at my machine. Yes, the vertical piece is correctly installed. I also can’t see anything getting caught up? It’s very strange. I just can’t figure it out. Do you know these very informative sites? Yes, thank you. However, it’s still getting stuck. It looks like everything is assembled accurately. Anybody have this issue in the past?? I bet you are missing the centering flange on the vertical plunger. Okay. I have one on order. Thank you.